After more than 19 years of success, chef/owner Dan Bocik continues to impress Chicago diners with his restaurant, a tavola. Founded in 1995, a tavola pioneered the farm to table concept with its menu featuring the freshest ingredients, hand selected by Chef Dan. During the spring and summer seasons herbs and vegetables used in the regionally inspired italian dishes are grown on site in a tavola’s garden. Known as the “hidden gem” of the Ukranian Village this intimate restaurant’s emphasis is on an authentic dining experience. The seasonally rotating menu is dedicated to remaining small and selective. Fresh pasta is prepared in house daily, and the wine list is carefully selected to compliment each course perfectly. The professional service at a tavola is sure to leave the most discerning diner impressed. The summer months at a tavola boast a garden patio perfect for candlelight dining under the stars. A private room upstairs hosts family style dining events for up to 26 guests from rehearsal dinners to business events. 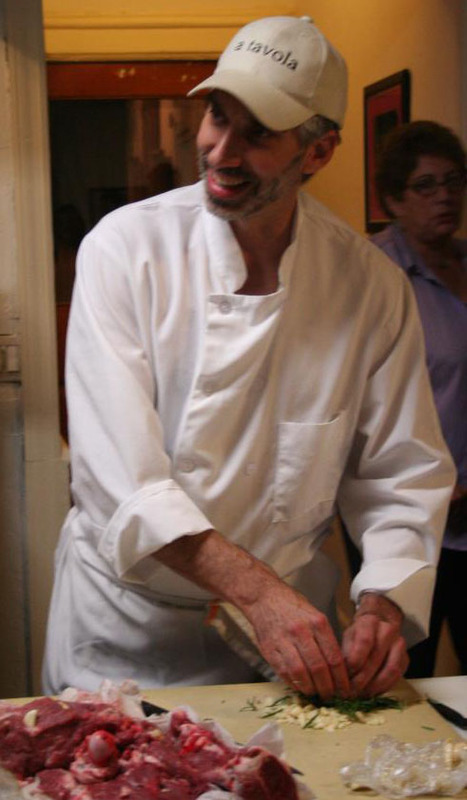 Once or twice a month on Monday evenings, Chef Dan passes on his knowledge of the culinary arts of Italy at a tavola’s cooking school. A tavola coaxes big italian flavors out of the minimalist menu, provides unprecedented service and welcomes guests to “our table” in the cozy dining room.